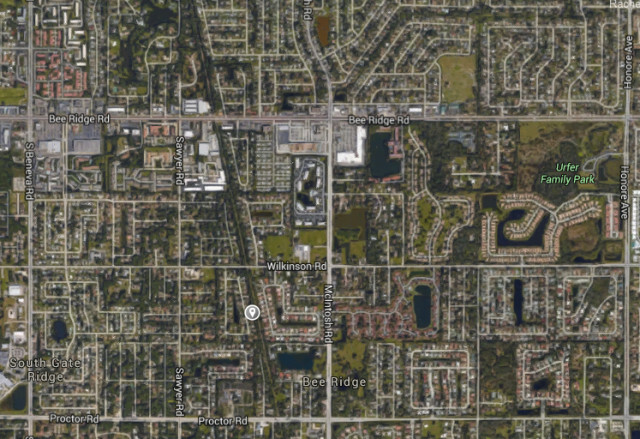 As part of a two-year project, construction crews are shifting traffic to the north and installing a barrier wall on Bee Ridge Road from U.S. 41 to McIntosh Road, the Florida Department of Transportation (FDOT) has announced. The barrier wall installation, which will take place at night, will necessitate closure of an additional eastbound lane, an FDOT news release says. “This will allow the contractor to close two eastbound lanes to remove and replace storm drainage [systems] on the south side of the roadway,” the release explains. Two lanes will be open for both eastbound and westbound traffic, as well as a center turn lane, the release points out. Additionally, the sidewalk on the south side of Bee Ridge, behind the barrier wall, will be closed, so pedestrians are advised to use the north sidewalk, the release continues. “Traffic will stay in this configuration for approximately seven months,” the release points out. The contractor, Watson Civil Construction, will maintain access to businesses and side streets throughout the project, the release says. Crews also will install a dewatering system at the intersection of Bee Ridge Road and Sawyer Road beginning on Wednesday night, Jan. 27, the release notes. Drivers should expect a northbound lane closure on Sawyer Road from 7 p.m. to 5 a.m., the release adds. “The left-turn lane can be used for through traffic during this time,” it says. “Motorists should use caution while driving through the work zone, pay careful attention to the construction traffic signs and plan additional travel time,” the release advises. The work is part of a project comprising “significant drainage improvements” along Bee Ridge Road; removal of old asphalt and resurfacing; reconstruction of sidewalks; and installation of new signalization in some areas, the release adds. The project also includes construction of 11 pedestrian refuge islands on Bee Ridge Road between Dunn Drive and U.S. 41, the release notes. Completion of the $17-million undertaking is scheduled for the summer of 2017, the release says.